Merolyn Engineering Works Pvt. Ltd.
- Continuous monitoring of cargo discharged / loaded on board vessel - tally, delivery and outturn. Seaways offers services relating to survey of vessels, cargo and containers. Seaways also undertake techno economic feasibility studies for its various clients on issues for its various clients on issues pertaining to maritime services. 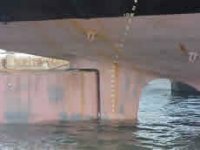 It also undertakes Geo-technical and Hydrographic surveys to identify suitable locations for Ports, Jetties and Material handling systems. The training scheme is designed in such a way that trainees get exposed to different types of survey techniques such as theodolite survey, Chain survey, Plain table survey etc. We offer a wide range of survey services for damaged, pilferage & theft of cargo, container damage, etc., from simple survey to joint surveys with concern authorities. Our dedicated personnel with over a decade experience in the marine survey industry. The Cargo team at KMD use their expertise to provide comprehensive solutions for various cargo risks relating to crude oil, bulk cargo, project cargo, specific single shipments. Acting as your liaison, we work with freight forwarders and shippers to get your home furnishing products to you quickly and safely.